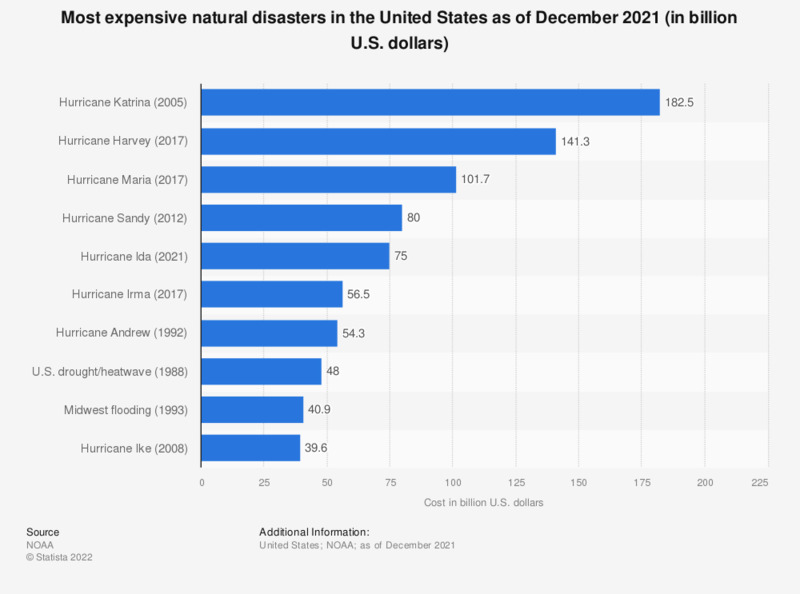 This statistic shows the most expensive natural disasters in the United States as of September 2017. The estimated costs of Hurricane Harvey amounted to 190 billion U.S. dollars, which makes it the most expensive natural disaster to occur in the U.S. as of September 2017. The source published their estimate for Hurricane Irma here: https://www.accuweather.com/en/weather-news/accuweather-predicts-economic-cost-of-harvey-irma-to-be-290-billion/70002686.